Thank you for helping meet our needs. While we try to be as self-sustaining as possible, we rely on the generosity of many people to meet their needs. Funds are needed to cover our basic operation costs like, salaries for our Mommy, Aunties & Uncles who care for kids, crops animals, to basic electricity, gas for the transport etc. Our 2 special need kids have a home school teacher who also serves as a tutor for day school kids. Lastly, tuition fees are needed for boarding school. Select from specific needs below or input your specific amount in the box labeled "other" . Every dollar helps, no donation is too small. We thank you so very much. Fund what is most needed for the kids. Fund our home school teacher for yr. 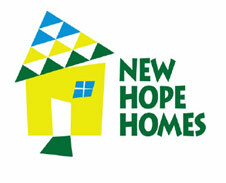 Donate 100% - Add 3% so that 100% of the donation goes to New Hope Homes. New Hope Homes has partnered with Network for Good to securely process your online credit card payment via Network for Good (tax ID 68-0480736). This transaction will appear on your credit card statement as "Network for Good." This transaction is subject to Network for Good’s Privacy, Security & Disclosure Statement and the Charitable Solicitation Disclosure.